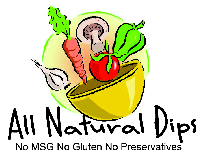 You get coupons for dip... special discounts for shows and where we will be next. You do not get a newsletter the minute you sign up. They come about once a month normally at the first of the month. Note: Coupons or Discounts are not emailed immediately. They come ( sometimes ) when we send out the next newsletter. Not all newsletters have discounts or coupons. We email out free shipping 3 or 4 times a year, not every newsletter.